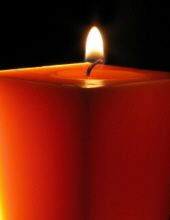 Larry Griffin, 76, of Charles City, passed away Thursday, April 4, 2019. A memorial service will be privately held by the family at a later date. Larry Lee Griffin (Zielstorf), the son of Carroll and Cleone Zielstorf, was born on January 8, 1943 in Charles City. Larry graduated from Charles City High School. He married Amy in 1987 where they resided in Las Vegas until moving back in 2002. Larry was an insurance adjuster and service writer for a leading RV Center in the greater Las Vegas area. He loved his family, enjoyed hot rods, motorcycles, restoring old cars, but most of all he enjoyed his best friend Bud. Living family members include his wife, Amy; four children: Larry Griffin, Susan Andrew, Tammy Flowers, and Sherry Barnes; grandson, Michael Whitney; two granddaughters: Brandi Smith and Kristen Burton; two great-granddaughters: Alona Marie Burton and Shilo Smith; brother, Marshall Hiner of El Cajon, California; and sister, Cathy Sesson of Riverside, California. He was preceded in death by his parents; stepfather, Paul Griffin; and two brothers: Allen Zielstorf and Bill Hiner.